When unexpected health mishaps arise, many people’s first reaction is to head to an emergency room. 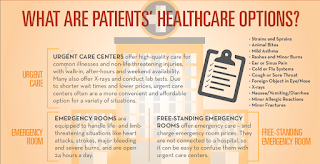 But when those illnesses and injuries aren’t true emergencies, not knowing the best option for care – or, in the case of emerging freestanding emergency rooms, not understanding the types of facilities at which they’re seeking treatment – can end up costing patients both time and money. 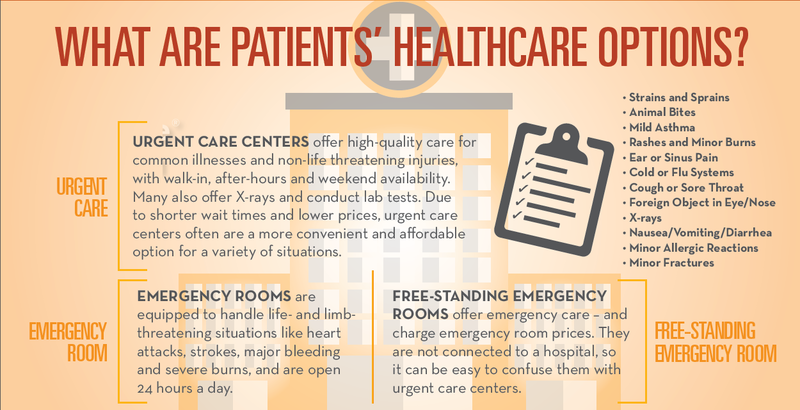 Helping consumers nationwide, The Urgent Care Association of America’s (UCAOA) “Urgency or Emergency?” campaign educated patients about healthcare options, including urgent care centers and emerging free-standing emergency departments, to help select the best option for their needs. To start, LCWA conducted a consumer survey to ascertain the level of awareness and understanding about urgent care services and drive audience selection and messaging. The survey found that the vast majority of patients understood urgent care offerings, and it also provided insights into how patients choose their healthcare options. LCWA also worked with UCAOA to mine the data from its annual benchmarking report to determine trends, including overall growth of centers, which services were most utilized and diagnoses seen most often, and insurance and payment data for comparison to other healthcare destinations. Through additional secondary research, we learned that 27 percent of all ER visits could take place at an urgent care center or retail clinic, generating potential costs savings of approximately $4.4 billion annually, and that 98 percent of patients who visit urgent care centers are in the appropriate care setting. To meet these objectives, we executed several components designed to educate patients about how urgent care is a better option than ERs – both traditional and free-standing – for illnesses and injuries that are not life- or limb-threatening, including gathering an expert panel of media spokespeople, a wide-scale national media launch with a full suite of press materials, an #UrgencyorEmergency social media blitz complete with an engaging infographic and Twitter chat, along with reactive outreach to industry trends and a seasonal pitch calendar to always stay top-of-mind with priority media. For the busy back-to-school period, LCWA narrowed our focus to millennial moms, to educate young parents that urgent care is the best option for children’s illnesses and injuries during the school year. We reached this key audience through a back-to-school press release, collaboration with top mommy bloggers and an #UrgentCarePrepared hashtag contest. The program garnered high-level results, such as 585 million media impressions with a media value of nearly $3 million, in publications such as the Wall Street Journal, NPR and Bloomberg, all with at least one key program message included in the article. On the social media and blogger side, program activities achieved nearly 45 million impressions. As the program concluded, results showed that LCWA was able to educate patients on emerging healthcare options, drive interest in industry growth based on regional expansion, and keep UCAOA top-of-mind with key audiences while strengthening thought leadership. The Urgent Care Association of America won a Gold Trumpet from the Publicity Club of Chicago in the category of Marketing - Healthcare.